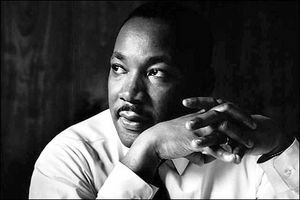 Curating Faith, Hope & Love: Senior Seminar: "Deep Ecclesiology"
On this very special day of remembrance of the late Dr. Martin Luther King, Jr., I would like to offer you the first of several essays (12-13 I anticipate) towards a "deep" ecclesiology. That phrase was first coined by Andrew Jones over at tallskinnykiwi[dot]com. This essay is a head first dive into the letters of Paul and considers what implications they might have for our church today. As always, please respond and comment here! This essay is partial fulfillment of THEO: 434 Senior Seminar "The Church as The Body of Christ" with Dr. Norm Beck, PhD (Professor of Theology, Philosophy & Classical Languages, Texas Lutheran University) as our instructor. 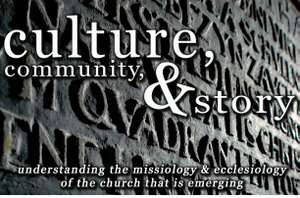 I started this category here on SmallTownAbbot.com called "Senior Seminar: Deep Ecclesiology" as a medium and forum for encouraging friends, family and blog readers to contribute to my thoughts and writings for a body of work I'm working on for my final project/paper/presentation in Theology at TLU. This new essay I've posted for you all is going to be revised - BY YOU! The original essay was written last year for a course on Contemporary Theologies...now I'm revising it and editing this piece in community. So read on, take notes, pray through this and let me know what was helpful and what was not.